The Walking Dead: A New Frontier is a video game series based on Robert Kirkman’s comic book series of the same name. 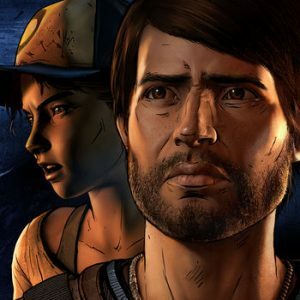 Telltale Games, which has made a name for itself in the episodic interactive drama graphic-adventure genre, developed and published the game. Having the option to continue a playable character from the previous game or start a new storyline is how the developer is bridging the gap between veterans of the game series and new players. Telltale Games pretty much follow the same general gameplay style. It’s a blend of Dragon’s Lair scene mechanics and a point-and-click adventure game. If you’re looking for a fast-paced third-person adventure game like Batman: Arkham Asylum or Darksiders, you might be in for disappointment. However, if you’re a fan of the previous Telltale games or other interactive movies like Heavy Rain, then this game will be right up your alley. Most of the game is done in action scenes where you have to make a move or press a button in a timely fashion. When you do get a moment to actually control Javier, the camera control/angles can be a bit frustrating. As with the previous Telltale games, the voice acting and 3-D modeling is top notch. You might recognize Javier’s voice from other games, such as Call of Duty: Advanced Warfare or Mafia III. Jeff Schine does a great job pushing this unlikely survivor through struggle and heartache. There are a few points in the game where the writing is a bit janky. For example, when we meet the doctor, she is WAY too gung-ho to help our band of travelers. But, for the most part, we are subject to an amazing entertainment experience. Our story begins around the time of the initial outbreak. Power, cell phones, running water and other things we generally take for granted are still around. Dysfunctional family dynamics is the driving force for Javier, our protagonist throughout this journey. In the beginning, Javier appears to be an ungrateful son and brother. The story quickly jumps to “present day,” where the outbreak is full on and most of Javier’s family is either dead or has gone their own way. In much of the monologue, we find Javier is an optimist. The end of the world will eventually beat that out of him. The story starts to go south when we meet a group of people at a junkyard. 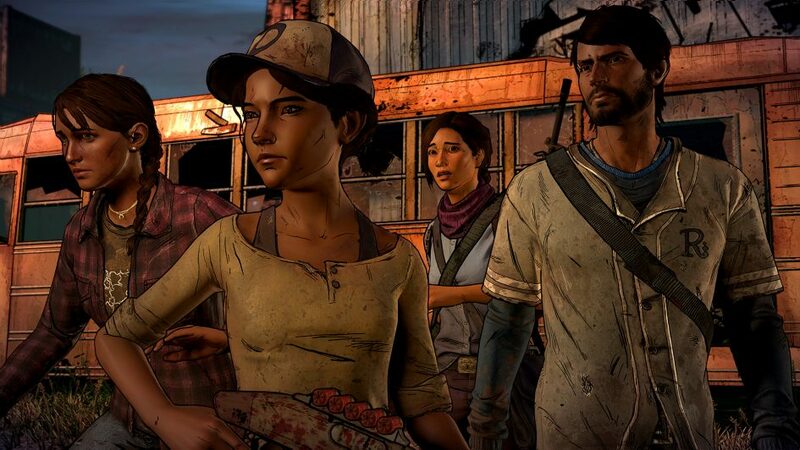 We are introduced to Clementine, from The Walking Dead: Season 1, after she almost kills Javier. We start to get some backstory to Clementine once the duo finds their way to Prescott, a fortified airport. There we meet Trip, your typical lawful, good type. We also learn more about Javier’s past. After Clementine makes a mess at the local bar, we are introduced to the doctor, Eleanor. At this point, the writing and acting goes a bit south. Javier heads back to the junkyard in hopes of finding any clue about the whereabouts of his family. Overall,l I found the game entertaining to watch, but couldn’t see a point in the playing of it. I felt as if this was much more of a movie than a video game. If the game played more like Uncharted or the new Tomb Raider series, I think it would be a much more enjoyable experience. Chris Hamby is the president and founder of Music City Geeks. A Nashville, TN based social club with a passion for all things geeky. Chris has been an active player of video games since 1983, when he received the original Nintendo Entertainment System (NES) for Christmas. Playing games is one thing but, Mr. Hamby has also attended multiple game jams and helps support game development in his local community.